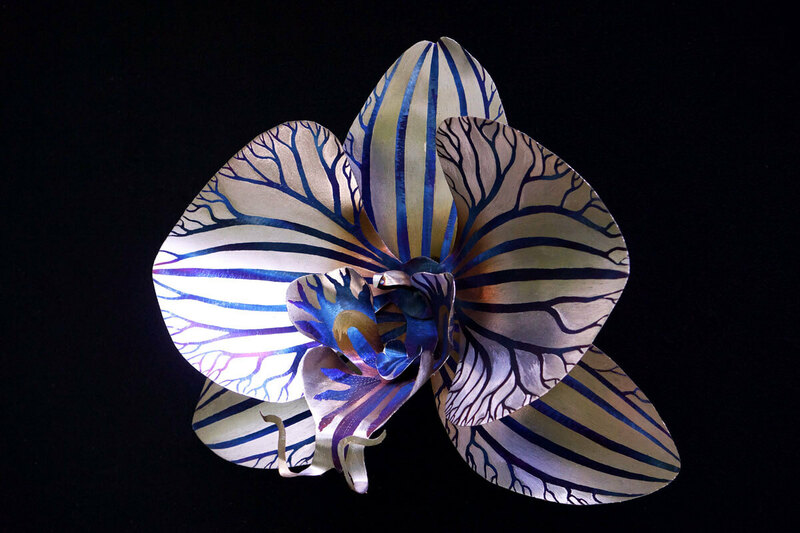 This particular bright silver orchid with blue veins was quite time consuming as i colored the entire work blue and then came back and ground off everything but the veins with a tiny pneumatic pencil grinder. Though tedious I feel it paid off in the end as it captures light in an incredible way and the juxtaposition of bright silver petals with the deep blue and purple veins is stark and impactful. 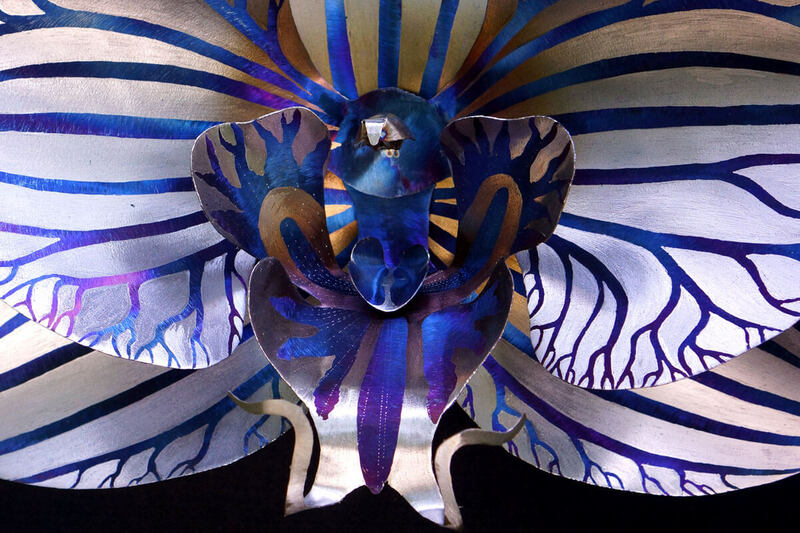 I am also very pleased with how the interior part of this flower works with the larger petals. 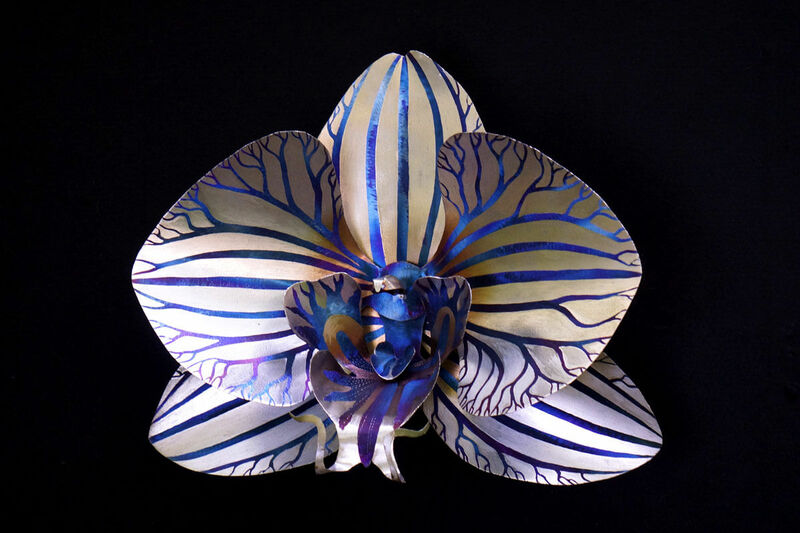 Large white orchid flower with blue veins. 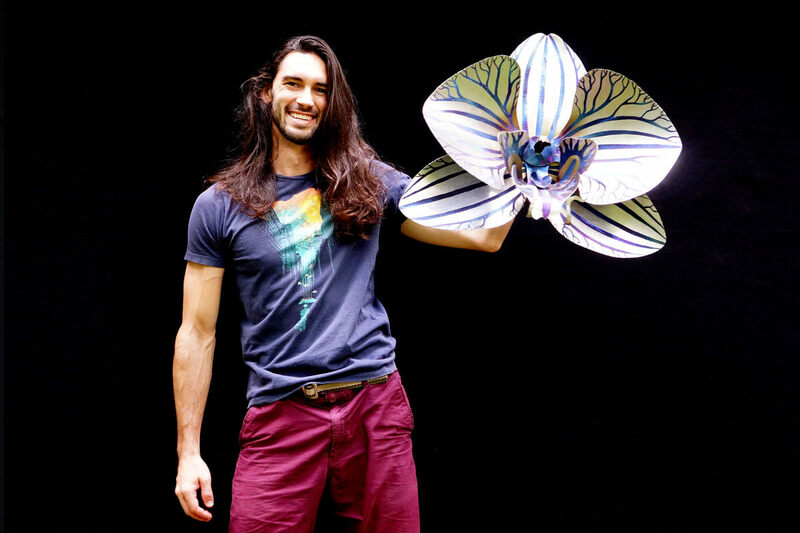 Artist Aiden Dale with large white orchid flower with blue veins. Tilted large white orchid flower with blue veins. Close up of large white orchid flower with blue veins.